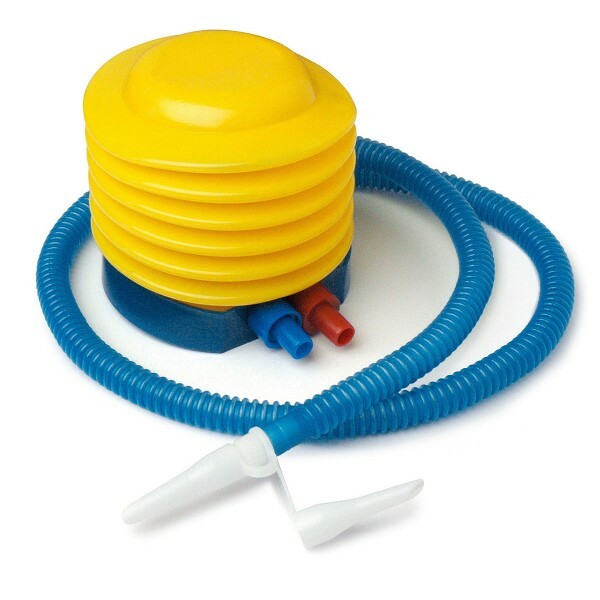 Save valuable time and effort when inflating your anti-burst balls (or any other inflatable product) with this multi-purpose foot pump. Save valuable time and effort when inflating your anti-burst balls (or any other inflatable product) with this multi-purpose foot pump. The compact pump includes two different size nozzles for maximum versatility.